After working long hours, teaching a class, and waking up early to do it all again, sometimes my eyes end up puffy with dark circles under them. I’ve tried a few creams and serums that seemed to help with this, but they were all really expensive. One I looked at was over $100 for a tiny tube! 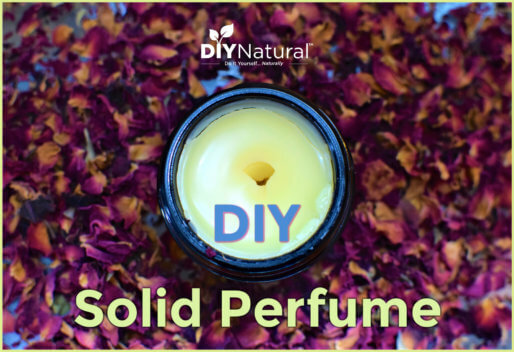 I researched some options and came up with something I could make myself for much cheaper, using only natural ingredients. 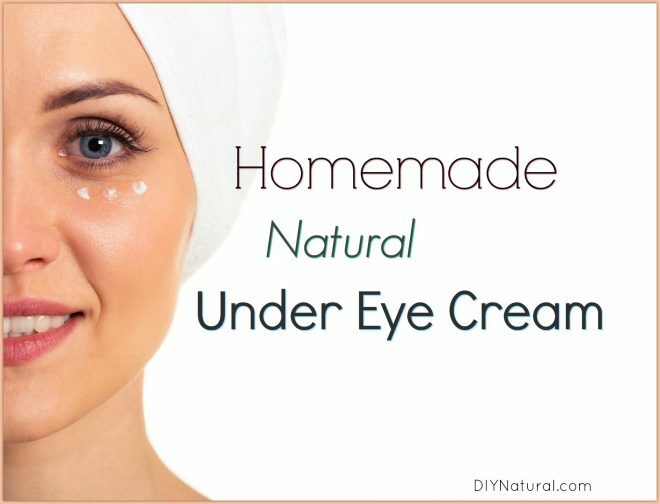 I’m sharing my basic recipe for homemade under eye cream (serum) that is healing, soothing, and simple to make! Mix the first 5 ingredients together and transfer to a roller ball bottle. (Dark roller bottles like this are recommended to protect the fragile oils from light). Roll serum under each eye, gently massaging it into dark circles or puffy areas. Avoid getting serum in your eyes. Night time is best as it will give oils a chance to soak into your skin. Calendula and Marshmallow Root Infused Oil – Infusing calendula into oil helps to extract the healing properties of this plant into the oil. Marshmallow root is very soothing and healing as well. Learn how to infuse your own oils here. Vitamin E Oil – This is an antioxidant that can help prevent the skin from aging as quickly, and it can help reduce the appearance of scars and fine lines. Rosehip Seed Oil – This oil is packed with vitamins, particularly Vitamin C – a great antioxidant. It also contains essential fatty acids and beta carotene, another antioxidant. It has been used as far back as the Ancient Egyptians and here in the US by Native Americans to moisturize the skin and reduce the appearance of fine lines and dark spots. Grapeseed Oil – A light oil that is high in antioxidants. Shea Butter – This luxurious, healing butter will make a more creamy mixture due to its solidity at room temperature. You can make some substitutions if you prefer other ingredients. Sweet almond oil can be used instead of the grapeseed oil. It contains vitamins and minerals beneficial to the skin. You could also use either safflower or sunflower oils. Both are high in Vitamin E. You could add evening primrose oil instead of or in addition to the rosehip seed oil. It is thought to help in the balancing of hormones for women. I didn’t include any essential oils because I’ve found that the vapors can sometimes irritate the eyes. If you wanted to add any, I would recommend only a drop or two of lavender or chamomile essential oil. Both are mild, soothing, and healing. Have you ever used an under eye serum with any success? Or have you tried making your own? Share with us! Another thing I’ve found to help with under eye problems is coffee. Make an oil infusion with some freshly ground coffee, dry, not wet, and strain it after a few weeks. I used grape seed oil. Use this in place of the oil with the other herbs. 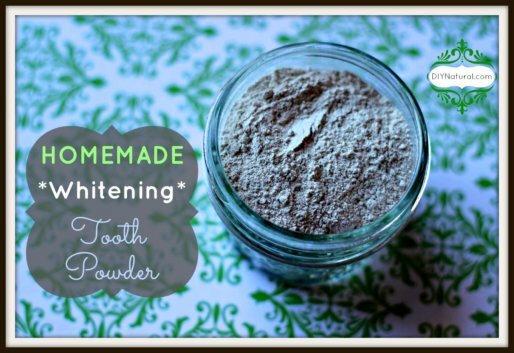 Is there anything that can be substituted for the calendula and marshmallow root? If not, where do you get these? You can use other ingredients, Bonnie. Slippery Elm or even Violet Flowers have the same type of mucilage as Marshmallow Root. You can also try any flowers from the Mallow family, such as Rose Of Sharon, Okra, Cotton or Hibiscus. They are all in the same family, all edible (really!) and all help with softening the skin. As far as Calendula, Plantain, (the weed, not the banana), Chickweed, Aloe Vera and Jewelweed are all good choices. If you can’t find these locally, look online. Mountain Rose Herbs is a great place to start. Thank you so much. I am almost 70 years old, and wanted a good DIY recipe to try. I was surprised about the Grapefruit Seed Extract. Most information I see about its use, has to do with cleaning agents and not to get near your eyes. Am I confusing this with something else? No, you’re not, Kathy. It’s true you shouldn’t get any volatile oil compound near your eyes. This serum is used under the eyes, not close enough that it could get in the eyes. That’s what is meant by it. You can omit it if you like. The purpose is to help keep the oils from going rancid. storing your mix in the refrigerator will help with this anyway. 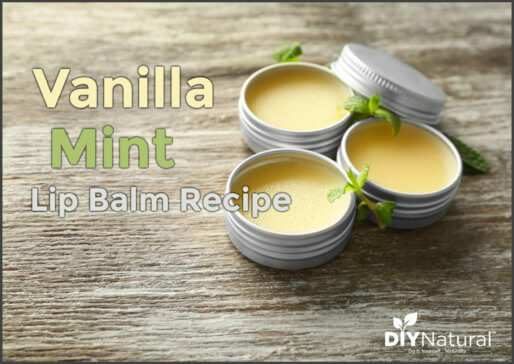 I use it in my bath oil and body butters to help with the rancidity factors. Thank you, this sounds like a lot of fun. It is a lot of fun, Sandy! And you can vary the oils used to suit your own needs. I used these because of the help they have for problem skin, but you could also try hemp seed oil or other beneficial oils. Thank you so much for sharing, I can’t wait to try it! Thanks Lisa! I’ve been using it for a few weeks now and most all of the puffiness under my eyes is gone, even in the mornings! This is probably just Lovely, but frankly buying all the ingredients that will then go rancid before being used up will be as expensive as buying a good organic brand. This recipe does not contain water-based ingredients. Therefore, the serum should be shelf stable. Whatever ingredient has the quickest turnover time would be the determing factor for shelf life. Typically, even for those oils with shorter shelf lives, it is usually at least 6 months. I can definitely use a serum up within 6 months! The rosewater IS a water compound Sarah, not an oil. So it is not shelf stable. The lecithin can be substituted with borax. The mixture then will be shelf stable for a few weeks. I didn’t include this option because there is so much concern about using borax. You can buy oils in smaller amounts at a health food store or co-op, Catarina. When I need just a few ounces of something, that’s where I go. Amazon and Ebay also have smaller amounts so that you don’t need to get 16 ounces of everything. Hmmm…I’m confused. My mobile view must be skewed. The ingredients I see listed are an infused oil, rosehips seed oil, grapeseed oil, vitamin E, grapefruit seed extract, and optional shea butter. Sorry for any confusion due to my response. I guess I better look at this article on my PC. I just can’t find any mention of rosewater. Thanks for the heads up! I’m so sorry, Sara, you are correct! My fault for trying to answer two articles at the same time. There is no water compound and this will last for a very long time. Again, my apologies!